The Pau Hana Board Bag helps protect your SUP and makes it easier to carry and transport. 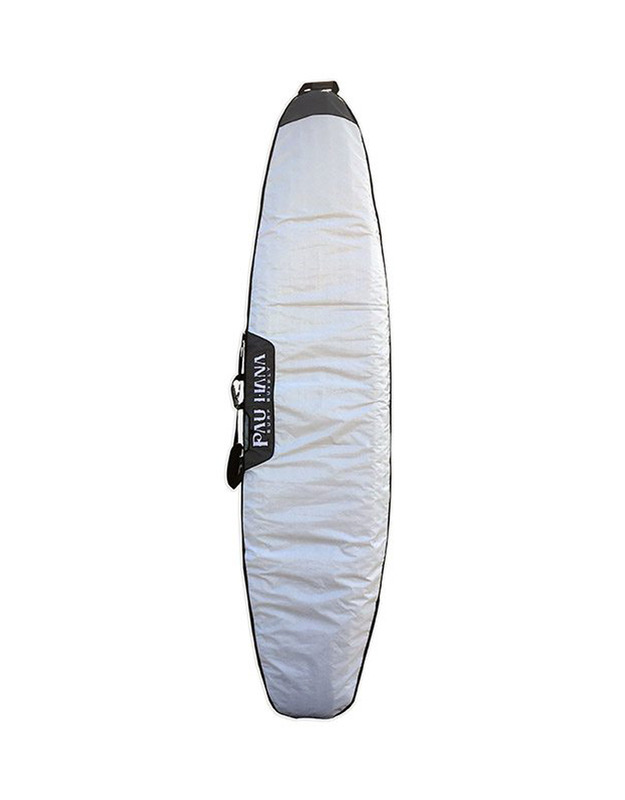 The bag is made of a durable canvas shell, which helps to prolong the life of your stand up paddle board, and it is a great way to store your board for winter. For hot summer days, strap your board (in the board bag) to your car with the reflective side up (not available on the Lotus bag) to prevent your board from overheating. *The board bag can help to prevent dings and overheated boards, but it is not guaranteed to protect from these occurrences. Pau Hana Surf Supply recommends storing your board in a cool dry place and keeping it out of the sun for prolonged periods of time when not in the water. Be careful with your board when transporting to prevent dings.